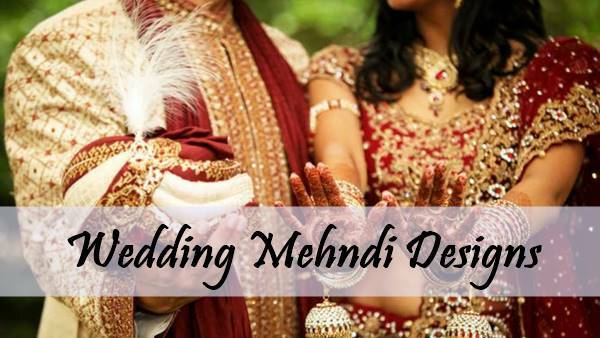 Welcome to Beautiful Mehndi Designs Gallery! 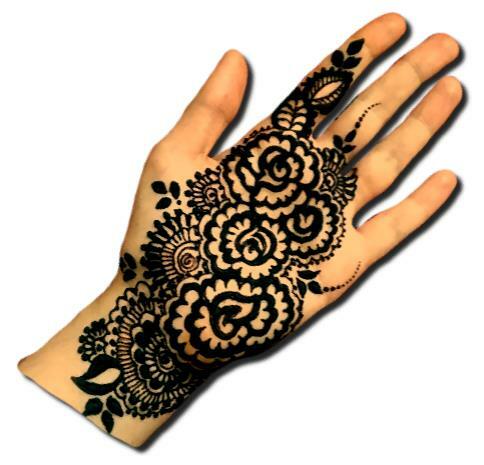 If you are looking for beautiful henna designs then this place will not disappoint you. There are so many designs that are waiting for you. 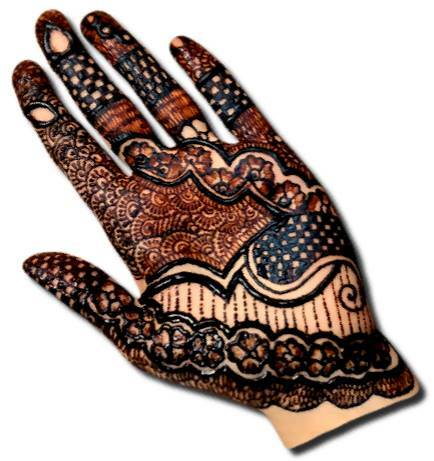 Here you will get some ultimate henna designs which you have never seen before. So let's start scrolling beautifully. 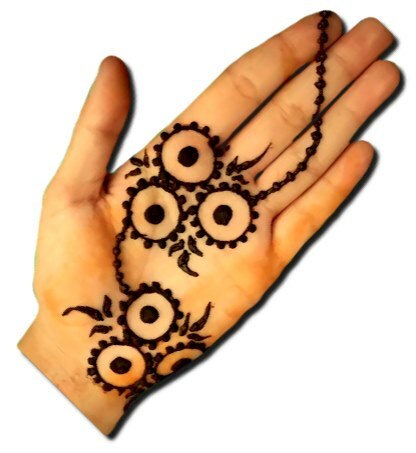 You will see here the example of the real beauty of Arabic henna. The perfectness of the design attracts us towards it. 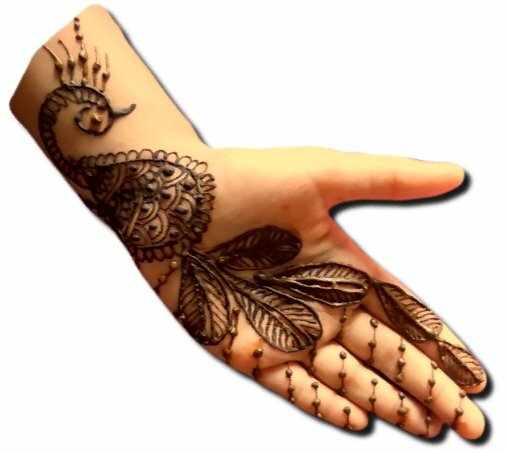 Make this design and see how people ask about this Arabic Mehndi design. Maybe you've never heard of a Bold Henna pattern before. 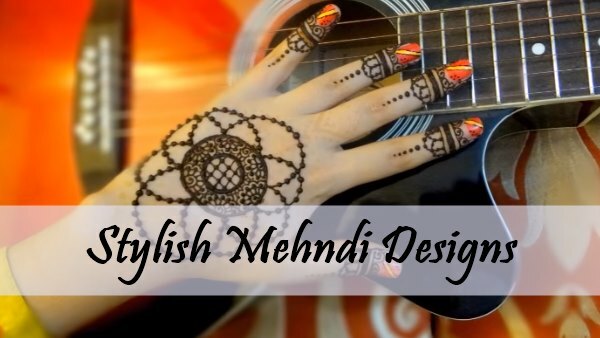 So, it's a bold mehndi's design, a design with high density. As soon as you look at the design, you will understand why it is bold. 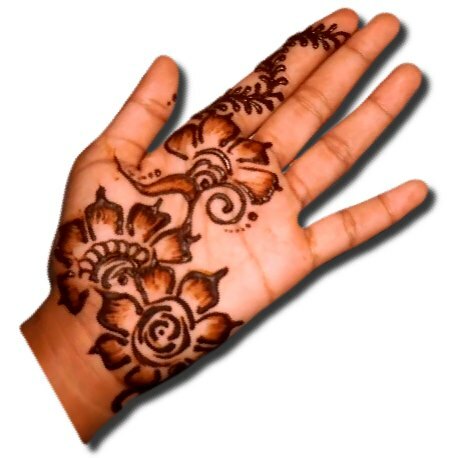 You will not find a more beautiful and easy henna pattern than it. You don't have to do anything in this design, just draw circles and connect them with a rosary. 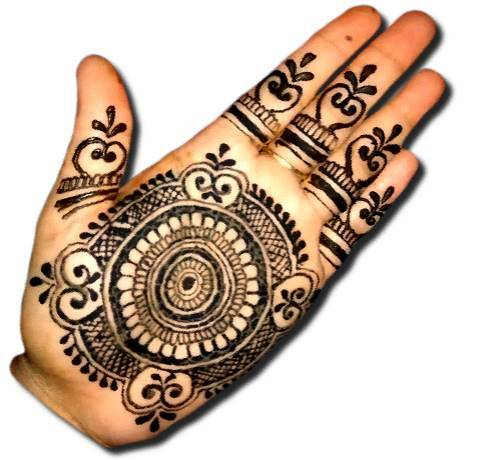 You will get a beautiful and easy mehndi design. 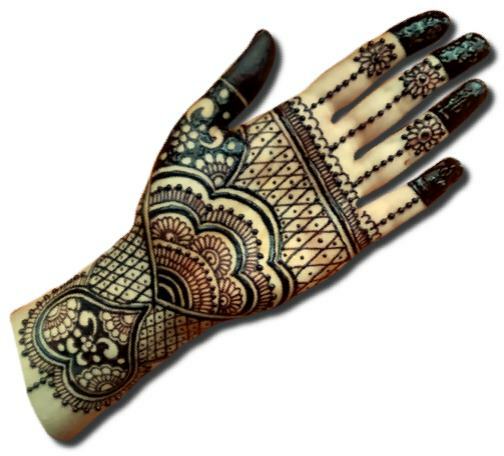 As the days of Eid start coming closer, people will start finding for mehndi design for Eid. And for that time this design is absolutely perfect, It will give you a different Noor and Shine. 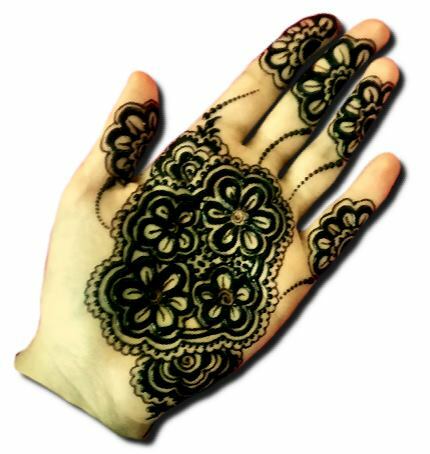 You can see more Eid Mehndi designs here. We all know that we celebrate many festivals every year. Keeping this in mind, we have added a special beautiful pattern for festivals. So, you can make your festival even more colourful by using this design. If there were no flowers, then maybe Henna did not have any design. 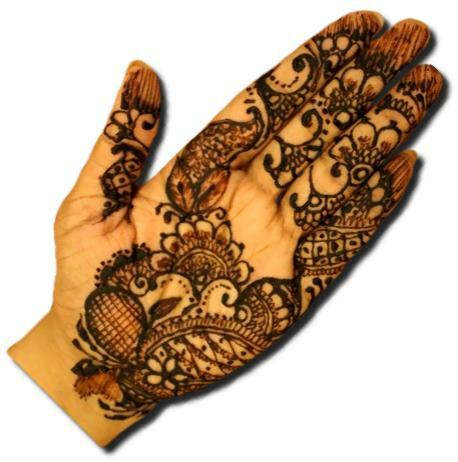 Without design, henna has no significance. You will also be able to see flowers in this design. 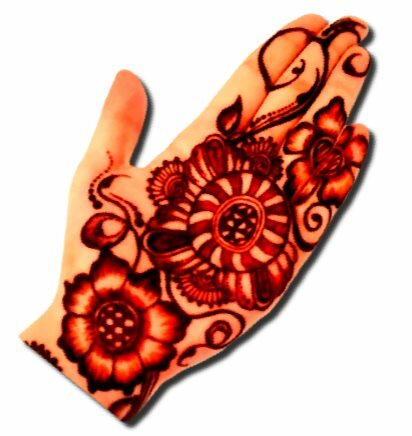 So enjoy this Floral Mehndi design for your front hand. The speciality of this design is that it is beautiful as well as simple. Many times it happens we need only simple patterns. At that time you will find this design here, so try this beautiful flower design. Special henna design for girls is very rare. Girls interests are different and the designs should be designed separately for them. You can see this design is totally different from others. With this design, you can go anywhere even to school, college or office. You may be able to see a heart-shaped design made on the wrist. If yes, then you will understand why it has given such a name. 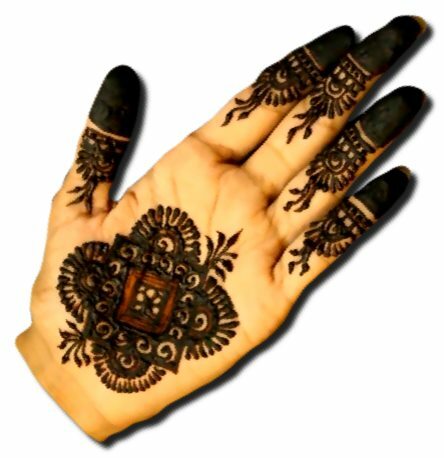 This is a full hand pattern and if you have to see more heart mehndi designs then try here. In our society, the parties are very common. Sometimes it happens we have to go to parties without any interest. But this design will create your interest to go to parties because it's going to attract many people. 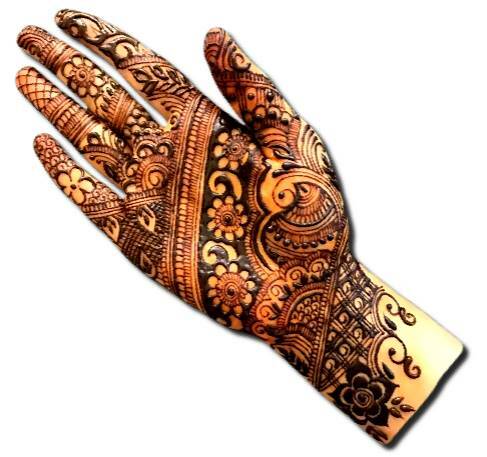 India's henna designs are appreciated all over the world because of their unique beauty. 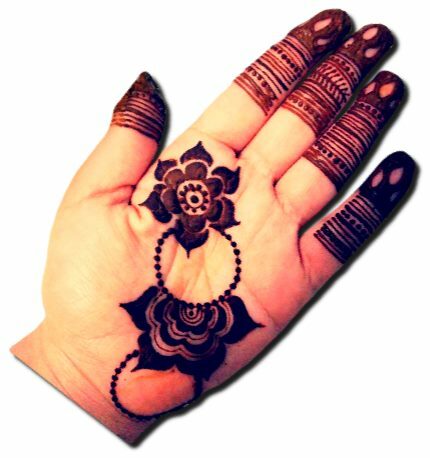 This design will give you an amazing experience if you want to see India's culture in close proximity, so try this Indian Mehndi Design. 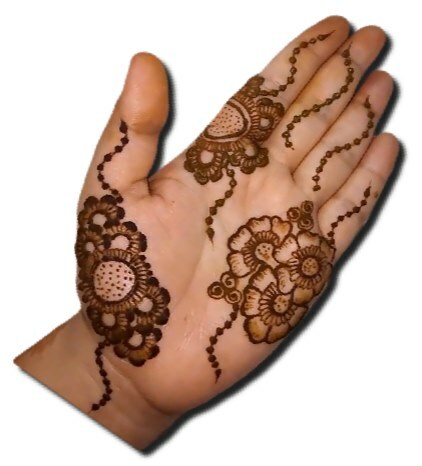 Mandala henna can be identified in the first sight. The main theme of Mandala design is always a circular shaped. It is believed that the circular shape is the form of our universe. You can see more Mandala mehndi designs here. This design has been made keeping in mind children's interest. This is a very beautiful design and kids will love a lot. 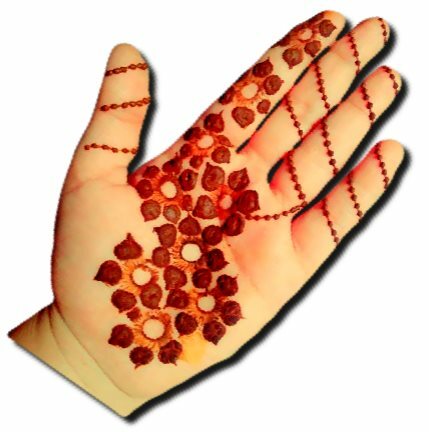 Here you can see and try more mehndi designs for kids. This design can be used exclusively for the wedding occasions. This design fits from every dimension for such occasions. It will take you a little extra time but when it becomes, It will give you pleasure. 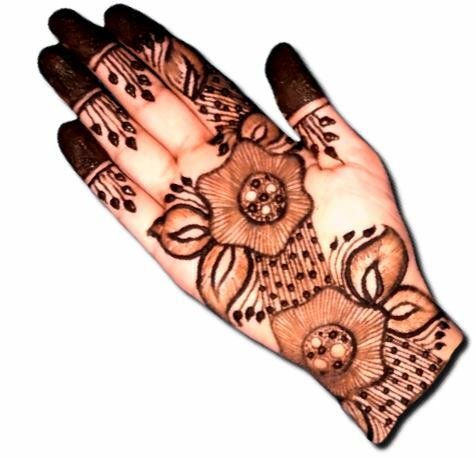 You can try these more mehndi designs for wedding. In Pakistan, where beautiful people are found, the beautiful mehndi designs are also found. 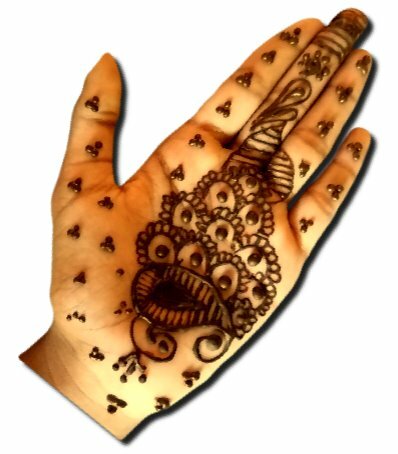 Pakistani henna designs have its own taste. 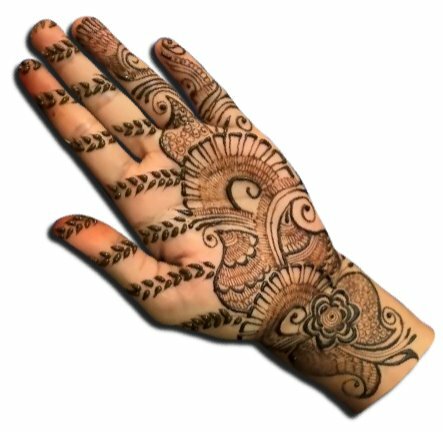 If you are interested in this type of designs, then try more Pakistani mehndi designs. This is the most different pattern of peacock henna so far on this blog. The different thing is that the peacock design starts from the wrist and go up to fingers. 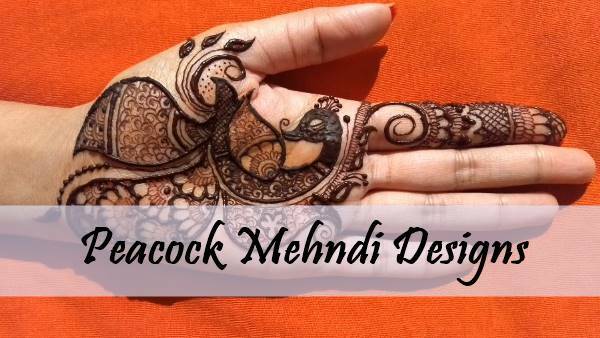 You can watch our Peacock mehndi design gallery for more interesting designs. As everyone knows that Rajasthan lies in India and its designs are considered very popular across the world. If you want to enjoy the art of real Rajasthani culture then try this design. Beauty with simplicity, you will be going to get both in the same design. Is it possible? Yes, try this design and feel simplicity with beauty. 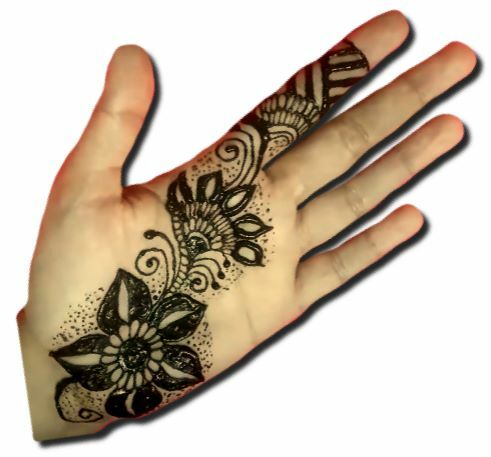 If you are looking for such more designs, do not forget to see our simple mehndi designs gallery. Style and Beauty both are different, but in this design, you will get both. Whoever looks at this design will surely like this design. 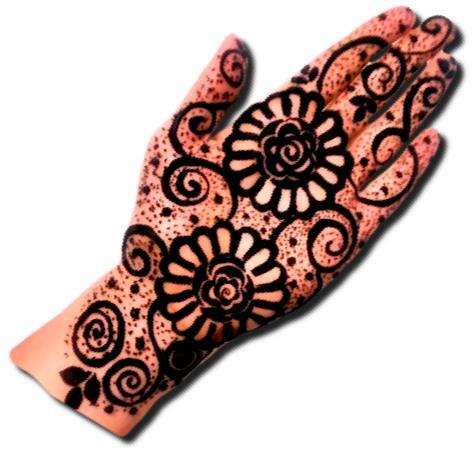 It looks like you will need more stylish mehndi designs. Some people like only unique things, this design is especially for them. The unique in this design is that it has two flowers and both are threaded in a ring. Try this for uniqueness. 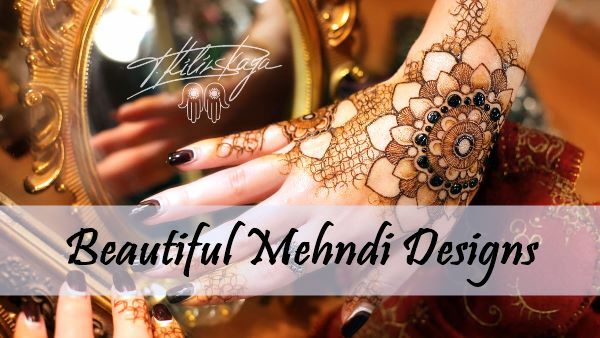 Hope you like these Beautiful Mehndi Designs. You might have liked a design, if not we will improve in it.